It has taken quite a bit of time, but Rovio finally brings its popular Angry Birds game to the Windows Phone platform. The original game — the version that launched the craze — lands in the store today. “Good news for all of our fans who play Angry Birds on Windows Phone, we have a brand new version of the original Angry Birds for you to play” the Finnish game studio announces. The best news for customers on the Microsoft mobile platform is that the new game is free from now through May 15th. The game will have over 400 levels from the start. The Windows Phone 8 version will also have Xbox Live integration with new achievements and leaderboards. 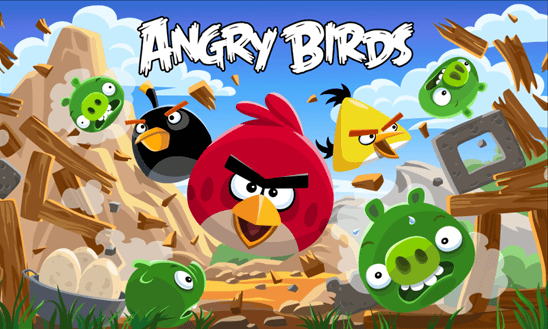 “This will be a completely separate download from the original Angry Birds title that some of you may already own. The reason why we’re re-releasing the game is that it will be technically easier for us to support in the future” Rovio claims. If you are worried that you will lose your current progress, then rest easy. Rovio points out that downloading this new, improved version will not wipe your old game, including your stars and level progress. Both versions are completely separate.